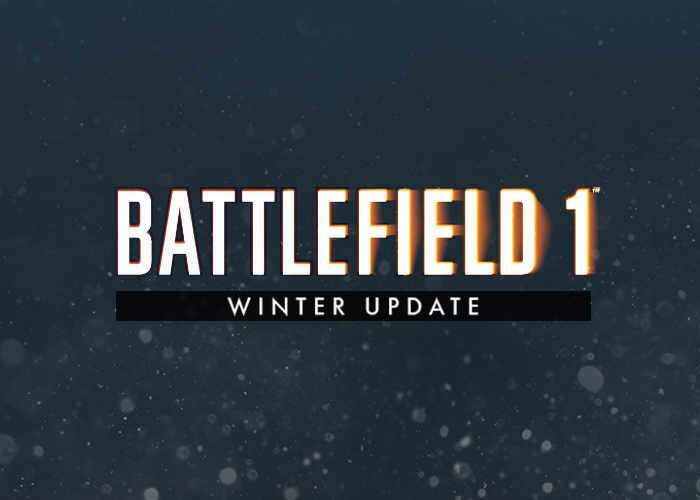 Today developers and publisher DICE have revealed more details about the upcoming Battlefield 1 Winter Update which will bring with it server rentals as well as a higher Class Rank cap of 50. The Battlefield 1 Winter update will also add a number enhancements, tweaks and obligatory bug fixes to various aspects of the Battlefield 1 experience explains DICE, including Ribbons, Elite Codices and Max Class Ranks and prepares the game further for its first major Battlefield 1 expansion in the form of They Shall Not Pass. – You will now be able to collect Ribbons as you play. There are 20 different Ribbons to collect, and each time you get a Ribbon you also receive a 300XP. The Ribbons are designed to promote good teamplay and playing the objective. – It is now possible to unlock an Elite Codex for eight of the available primary weapons in the game. All you need to do is get 500 more kills per applicable weapon. Not only will you get a shiny Elite Codex, but you will also be awarded 25,000 bonus XP. Not bad when you’re chasing those new Class Ranks. – We were impressed by how fast players reached Rank 10 in each primary Class. The new max Class Rank will now be 50. Let’s see how fast you reach max! At every 10 new Class Ranks you’ll receive a Battlepack, and when you hit 50, you will be granted some extra nice Class flair in the kill card to taunt your fallen foes. There will also be Dog Tags that you can unlock as you progress towards max Class Rank 50. – With the Winter Update we’re releasing some highly anticipated rent-a-server features. RSP admins will now be able to kick players from their server using the in-game UI, or swing a mighty ban hammer if someone is misbehaving. RSP admins will now also have prioritized access to their server.